For all kinds of printed circuit components (PCB). Small aluminum model, high suction power. 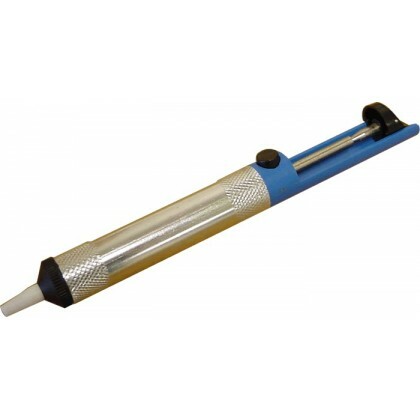 Ideal to complete your soldering iron station.